While parent involvement in secondary education is not generally as extensive as their involvement in primary education, there are still several ways in which parents can be involved in the school. 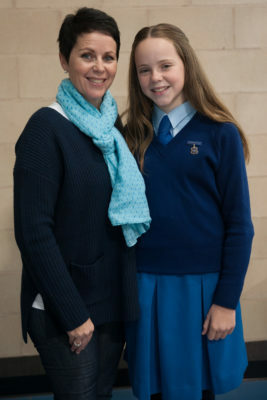 There are many opportunities for parents to become involved in the College. Parent Teacher Interviews Parents are encouraged to attend Parent/Teacher interviews which occur at least once per year from each year level. Bookings can be made via SOBS online booking system. Parent Information Nights are held at significant stages as students progress from year 7 to year 12. These opportunities are significantly advertised through the newsletters, on this website and the St Mary’s College Facebook page. School Advisory Council– St Mary’s College has an advisory council which includes members from the parent body and the Parish. The advisory council provides advice to the Principal and the Parish Priest in the fulfillment of their responsibilities to the School. Nominations are called for prior to the AGM held in November. Parents & Friends Association – St Xavier’s School and St Mary’s College have the one P & F Association. This group meets on the third Wednesday of each month during school terms and assists by raising funds to maintain and improve the educational facilities of the two schools. The P&F also helps to build and maintain a strong school community by organising many social events throughout the year. If you are interested in joining, please contact the College’s office. The most important parent involvement is taking an interest in your children’s education. Look at their books and diaries, discuss their assignments with them, make sure they have a suitable place and regular time for doing homework. Encourage them to ask questions of teachers if they are experiencing difficulties. Talk to them about how they are going in tests and assignments. If they believe that they are being bullied, either encourage them to talk to the Year Supervisor or contact the Supervisor yourself. It is strongly recommended that parents take an interest in what their children do on the internet, particularly with regard to the use of social media, including Facebook.